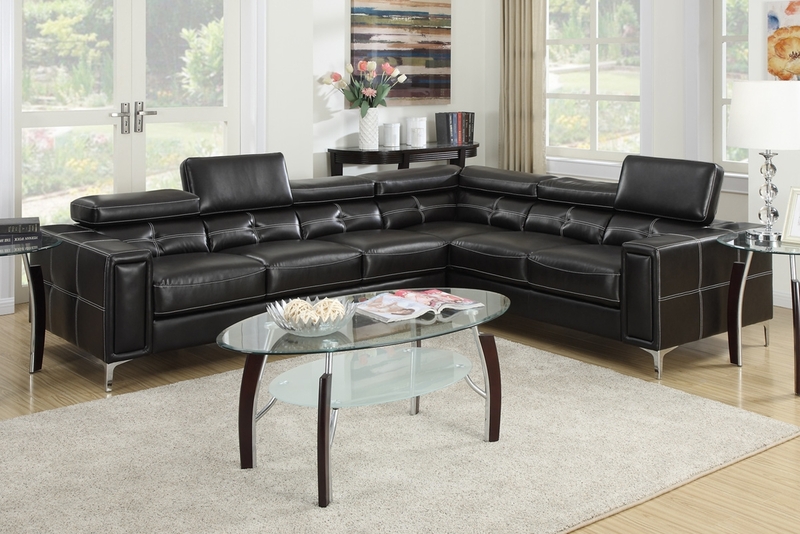 Impress your guests with this sophisticated 2-piece sectional sofa covered in rich bonded leather with intricate stitching and shapes. It also includes adjustable head rests and chrome leg supports. Available in black and cream.